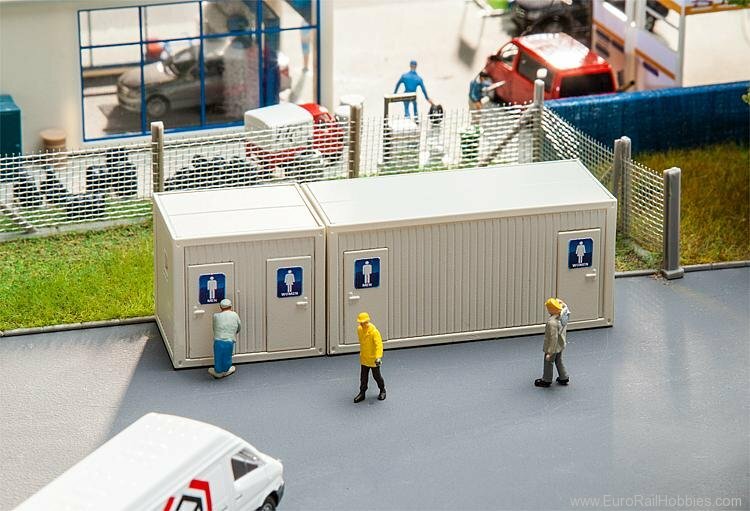 Quickly installing portable toilet rooms in varying places. Rectangular profiled sheet steel container with reinforced corners and separate lavatories for ladies and gents. The building this kit is based on dates from Era V.